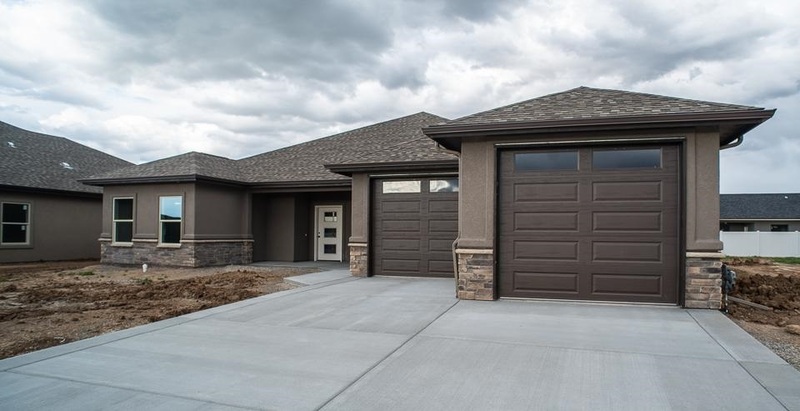 Quality and workmanship are what you will find throughout this beautiful new home in Mountain View Estates built by Elk Ridge Homes, 3 large bedrooms, 2 baths. The home is conveniently located near the Chipeta Golf Course. This open concept, single story home offers you significant upgrades over "builder-grade" homes, including a stucco and stone exterior, 2X6 exterior construction for added insulation R-values, upgraded kitchen appliances, large walk-in pantry, Quartz countertops, Island bar with vegetable sink, hand-textured drywall finish, 5-piece master bath including a soak-er tub, tray ceiling in master bedroom, oversized 3-car tandem garage,RV parking, architectural shingles, a large, well designed covered front entry, and a fabulous covered outdoor back living area. Completion date end of April.